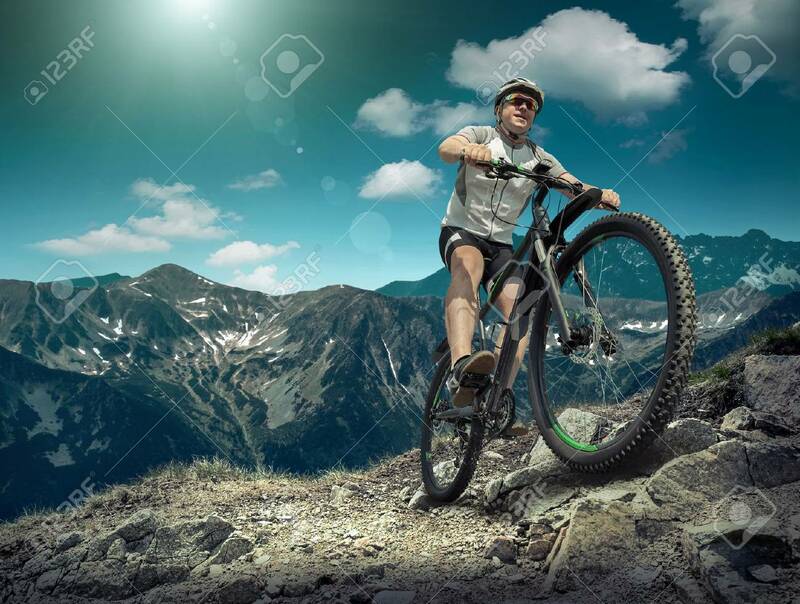 Man In Helmet And Glasses Stay On The Bicycle Under Sky With Clouds. Royalty Free Fotografie A Reklamní Fotografie. Image 49943972.